At a distance of 7 km from Courchevel and 10 km from Maribel lies the family ski resort of Pralognan La Vanoise, more affordable in terms of prices and less noisy than neighboring localities. 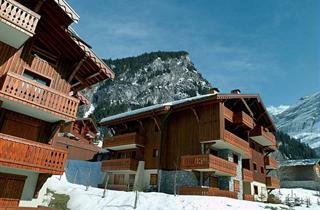 Lifts to a small ski area offering varied pistes are located in the very center. When skiing, it is not rare to spot chamoises, which have even been placed in the logo of the village.